A relatively new learning model is helping Nashville's immigrant and refugee students succeed in school. Only in its second year, Newcomer Academy accepts students who have moved to Tennessee from another country and who have the lowest of the low English comprehension scores. In just months, students rapidly learn to write and speak English, while also taking courses focused on science, technology, engineering and math. "A lot of our students came in at the beginning of the school year and had trouble even writing their names in English and couldn’t make a complete sentence," said Katie Fleming, a teacher at Newcomer Academy. "Now, they’re writing essays, they’re defending their opinions, they’re making argumentative statements and writing a thesis sentence." Newcomer Academy is a partnership between STEM Preparatory Academy and Metro Nashville Public Schools. Since 2016, it has served more than 130 students from more than 20 countries under the leadership of Dr. Kristin McGraner, the school's director. 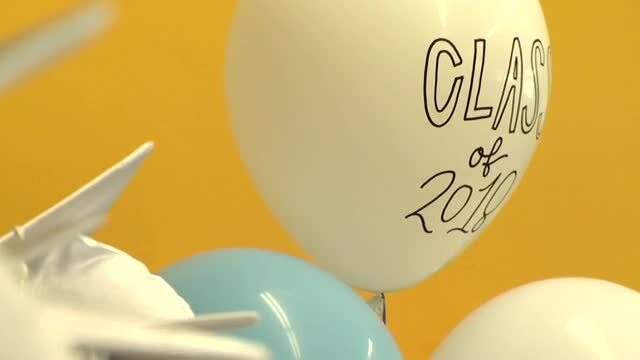 On Tuesday, the school celebrated its second class of fifth grade graduates, many of whom escaped extreme poverty and war to start a new life in Tennessee. "My life was not good because I was sick a lot there," said 11-year-old Eliza Jolie, during a speech at Tuesday's ceremony. "School was not good because if you didn’t come to school the teacher would hit you." Jolie traveled from Tanzania to Nashville near the start of the 2017-18 school year. After spending a brief amount of time at a typical elementary school, Newcomer Academy offered her a spot at their school. Jolie accepted, but the transition wasn't easy. "At first it was, 'I don’t want to be here I don’t like it here, it’s no fun, it’s too strict there’s so many rules,'" Fleming said. "Now she’s really flourishing and she’s reminding other kids of the rules. She is such a powerful, positive force in our classroom." In that classroom, Jolie has gone from recognizing just a few letters in the English alphabet to reading at a third grade level. an accomplishment that culminated Tuesday as she delivered a graduation speech in front of her teachers, peers and their families. Newcomer Academy has helped Jolie plan her future. She has developed such a deep respect and connection with Dr. McGraner, Jolie hopes to follow in her footsteps. "When I grow up I want to be a school director," Jolie said. "And today Dr. McGraner told me she wants me to take her job." McGraner said stories like Jolie's highlight how an innovative education model can successfully help students who most need the chance to better their lives. She hopes Jolie and her fellow fifth grade graduates will always remember the lessons learned at Newcomer Academy. "Literally every step of their path took and takes, even today, a great deal of courage,' McGraner said. "Stay courageous, stay brave, and keep doing the things that are really, really hard."